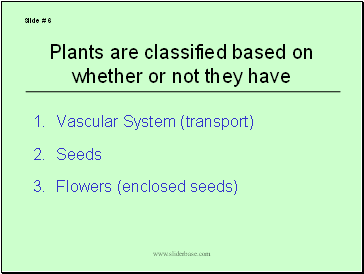 What do I know about plants? 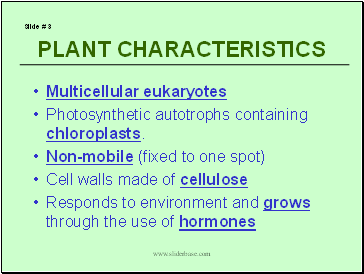 All plants need water and nutrients. 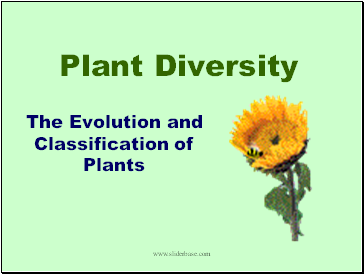 All plants reproduce using flowers. 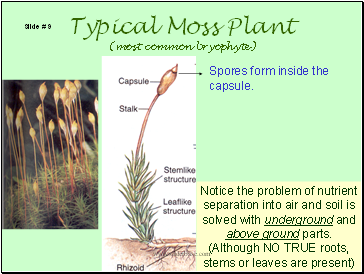 All plants reproduce using seeds. 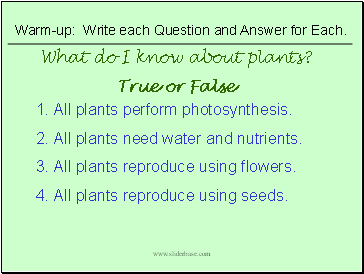 Warm-up: Write each Question and Answer for Each. 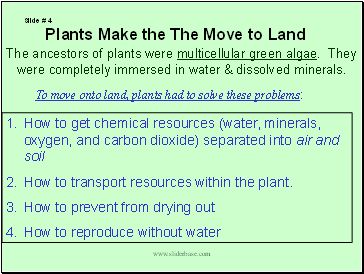 The ancestors of plants were multicellular green algae. They were completely immersed in water & dissolved minerals. 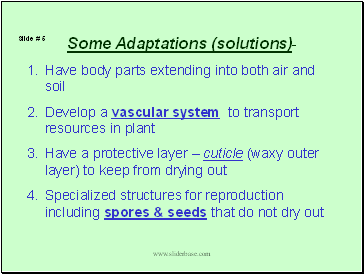 How to transport resources within the plant. 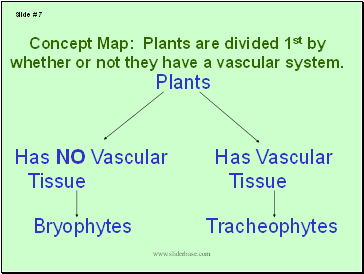 Concept Map: Plants are divided 1st by whether or not they have a vascular system. 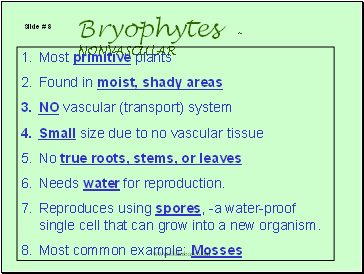 Reproduces using spores, -a water-proof single cell that can grow into a new organism.